I have prepared some notes on the book – a guide to activities that teachers can do with their classes. Please feel free to avail of these and to contact me if you require assistance. Uprooted from city life by the death of his father, Dark is beckoned into a rath as he wanders the fields near his new home. There, he meets people big and small whose magnificent stories of warriors, monsters and the fairy people provide an escape from his crumbling school and home life and take him deep into the world of Fionn Mac Cumhaill and the Fianna. The book attempts to recreate the magic of ‘told’ stories and mythology for the Playstation generation. It aims to re-possess youngsters of the astonishing field monuments that abound in their country; to enable them to view these as portals into a world of fear, fun, and high entertainment; to show them that there are whole enchanted worlds right there all around us waiting for us to open our eyes to them. Tom O’Neill lives in Kilkenny. He has worked in education and training for 30 years, 18 of those in South Africa. Mythology, like history, takes root when people feel connected to it. It is part of the heritage of our children. The challenge is to bring it back out of the vaults, allowing it to enrich the lives of coming generations. Furthermore, literature in Ireland owes much to the oral tradition. Yeats, Synge, AE, and many others recognized this and were amongst the foremost collectors of folklore. Teaching of literature in a modern context would be enriched by engagement with that tradition which is still very much alive in Ireland’s cities as well as in the countryside. One only has to look at the revival of storytelling circles. And just as at the turn of the 20th century modern Irish literature can be enriched by tapping into this and into the rich heritage that is lurking behind it. This book creates openings for children to take on various projects that may lead to them taking ownership of this heritage. Find out about some of the seats of power mentioned in the book. Look up Tara, Dún Áilinne, or Emhain Macha (whichever is closer or more interesting to you). See what the archaeologists have discovered in those locations. Draw models, based on this information, of what the structures were like. See whether they think the descriptions in Old Friends are accurate. Look up the four cycles of Irish mythology. 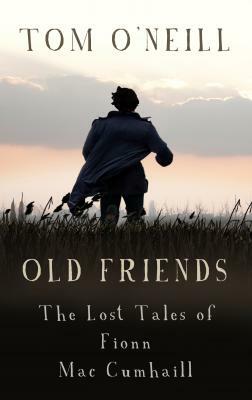 See whether these ‘imagined’ stories told by the ‘Old Man’ tie in with or contradict any of the recorded legends about Mac Cumhaill, Cormac, and others. Find out more about field monuments. There are raths or ‘fairy forts’, standing stones, megalithic graves, stone circles, fulachta fiadh and fairy trees all around the country. Find out what the popular beliefs were about these monuments. Also find out what the archaeologists think about the uses of these monuments in religion, in black magic, and in normal living. If you live in the countryside or have a chance to visit friends there, visit a rath – there is sure to be one near you as they are all around the countryside, barely noticed. Many of the stories that the Dark discovers when he escapes to the rath are like stories told by your parents and grandparents. Ask them if they know any fairy stories or stories about banshees. If not, they will have stories about ghosts or about people they knew when they were younger. It’s best that you all sit down and turn down the lights, ideally in front of a fire. Make up your own stories to scare them and make them laugh. And when the lights come back on see if you can remember any of the stories and write them down. Find out about the major climate catastrophe that happened over three thousand years ago (from 1159BC to 1141BC). We know this from tree rings from that era. For all of those years it was like a continuous winter. All crops failed, farming ceased except on high ground, local wars broke out, and a breakdown of society in Ireland. At that time, weapons such as those discovered by Connie in Old Friends, were put away in secret locations – perhaps as appeasement to angry gods or maybe just for safe keeping. Investigate the sword and shield types used by Celtic warriors 2,000 years ago. When were bronze weapons replaced with iron ones? The Celtic ornamentation on those weapons was common in other countries too. Where else were weapons with similar ornamentation discovered? Can you find out about stone age axe ‘factories’ in Ireland? Do you know how they first took copper from stone in Kerry? What other metal did they mix it with to make bronze? The author would be delighted to assist any teacher or student looking for more specific references or anyone having difficulty sourcing materials.